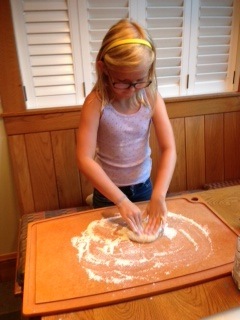 Cooking school and culinary fun for kids of all ages. La Toque’s Cooking Camp series brings cooking know how and fun to tweens and teens. Camp activities include cooking instruction, hands on projects, taste tests, contests a la Iron Chef and field trips. Campers will bring home their marvelous creations to share with their families and recipes at the end of the week to hone their skills. Sessions will be taught in a home setting in downtown Palo Alto except field trip days. Choose from a 3 hour morning or afternoon camp ending with full day field trips. See enrollment form for exact hours for each camp. Go wild (or at least creative) with pizza dough, sauces and toppings. 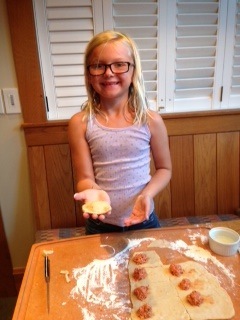 Then crank out pasta into your favorite shape, mastering sauces, ravioli and more as you become a pizza and pasta pro. The week will be full of fun, including a pasta sauce taste test and two Iron Chef style competitions. Join The Toques at the Palo Alto Chili Cook Off on July 4. This four day camp prepares the team for the big competition the first 3 days and competes in the Chili Cook Off the 4th day. We’ll learn what makes a terrific chili, taste test our wonderful creations vs. supermarket brands and spice up Independence Day at the contest in Mitchell Park. The Toques competed as a mother/son team in 2012 with help from Paly students. In 2013 we bring this fun event to our summer camp offerings. The week will start with a chocolate tasting and end with a bang during a tour of chocolate stores and the Tcho Chocolate Factory in SF. We’ll learn how chocolate is created and the history of chocolate. We’ll be cooking loads of chocolate treats and compete in a chocolate cake decorating contest.